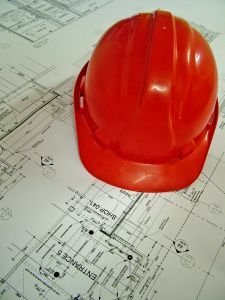 Accidents are not uncommon at construction sites, and the resulting injuries construction workers sustain call for competent legal representation from an experienced construction accident attorney such as Gregory J. Brod to secure rightful compensation for medical bills, loss of earnings and other related expenses. In extreme cases, workers even lose their lives while performing their jobs at a construction site, and the San Francisco Bay Area saw an example of the latter unfortunate event Monday when a truck driver died at the San Francisco 49ers new stadium under construction in Santa Clara. According to the San Francisco Chronicle, Edward Lake II, 60, died when steel rebar he was unloading from a delivery truck he had driven tumbled upon him and crushed him. State and local agencies have already begun the process of investigating the death of Lake, who was employed by Gerdau, a multinational steel company. The Chronicle found that a division of Gerdau, Gerdau Reinforcing Steel West of San Diego, was cited for an unspecified violation involving a job site in Rohnert Park this year by regulators. The tragic death of Lake was the second time a worker has died in the last four months at the new facility under construction of the reigning NFC champion 49ers. On June 11, Donald White, 63, was struck and killed by an elevator counterweight while on a ladder at the bottom of a shaft. The death of Lake came just three days after state regulators concluded that White’s fatality was an unexplained accident and that the companies involved did not merit sanctions. While California regulators may have concluded that White’s death may have been as the result of an inexplicable accident, White’s son, Cody White, has stated that his father told him that the blue-collar employees at the new Levi’s Stadium were working hard to meet construction deadlines. The younger White suggested that the push to get the new facility ready for its 2014 season unveiling may have been been a factor in his father’s death. Unfortunately, the workplace deaths of Lake and White are not particularly isolated incidents in the United States, as the U.S. Bureau of Labor Statistics reports that 4,609 workers were killed on the job in 2011. In addition, the federal Occupational Safety and Health Administration found that in the same year, of the 4,188 worker fatalities in private industry, 738 were in construction. Falls – 259, or 35 percent, of the total. Electrocutions – 69, or 9 percent, of the total. Struck by object – 73, or 10 percent, of the total. Caught in or between objects – 18, or 2 percent, of the total. A thorough probe will be required to uncover the facts behind the latest tragic fatality at Levi’s Stadium. Our personal injury and wrongful death specialists believe that the life and limb of every construction worker is precious. If you or a loved one has been injured or been killed while working at a construction site, please contact our team at the Brod Law Firm for a free consultation.